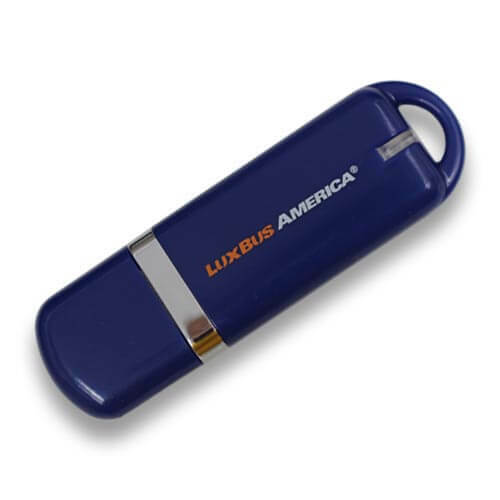 Another classic… the Thin Keyloop is a standard in a professional lineup of custom flash drives. A snug fitting cap dons one end, and a loop for holding a keyring on the other end. This model is available in a smooth or a rubberized finish.